When I chose this house I did so in a total rush and in true Natasha fashion, an extreme panicky nature, lol. We were about to go to closing on our Honey Tree house and if I wasn’t able to secure us a house on base we would be faced with the prospect of being homeless (well not really, lol, but the whole point of selling the house was to move on base not to have to rent a house out in town). Luckily the housing office on base had several homes available but when they showed me one right on the water and right across the street from one of my closest friends I am not exaggerating when I say I considered absolutely nothing before jumping up and down saying “I’ll take it, I’ll take it!! !”, lol. Now don’t get me wrong I love this house and faced with the decision again I would have picked the same one because I absolutely love living on the water, however, there are definitely certain aspects of the house that make it a less than ideal choice. For instance, we are the only house in the whole neighborhood without a storm door, which annoys me to no end mostly because I can’t open the door and enjoy the fresh air come fall and also because my fun and festive wreaths aren’t protected from the elements, haha (serious first world problems over here). I’ve also realized that we are one of the only homes in the neighborhood with sidelight windows that run the entire length of the door, which in terms of natural light is quite nice, but come nighttime you can see right into our house and not just a little bit, like a lot, like even if you are driving by you could tell which episode of Friends I’m watching, lol. Lucky for the neighbors, we aren’t into anything weird, haha but I still want a little privacy in the evening so instead of buying special sidelight rods and covers, I decided I would reuse a cafe rod from our old home and DIY some no-sew curtain panels. Initially I was a little skeptical about this project would turn out since I had only seen sidelights covered with actual sidelight curtains but was pleasantly surprised upon hanging the finished product because when looking at the pictures I think you’ll agree that they not only serve their purpose but also add a little something extra to the design of the room. I hope that you can pull a little inspiration from this post, even if you don’t have sidelight windows this could definitely work on any form of small window. Sweet squishy baby watching the UPS man 🙂 He melts my heart. Indoor/Outdoor Decorator Fabric in “Vertical Stripe Ebony” – purchased on sale at $8.00/yard. 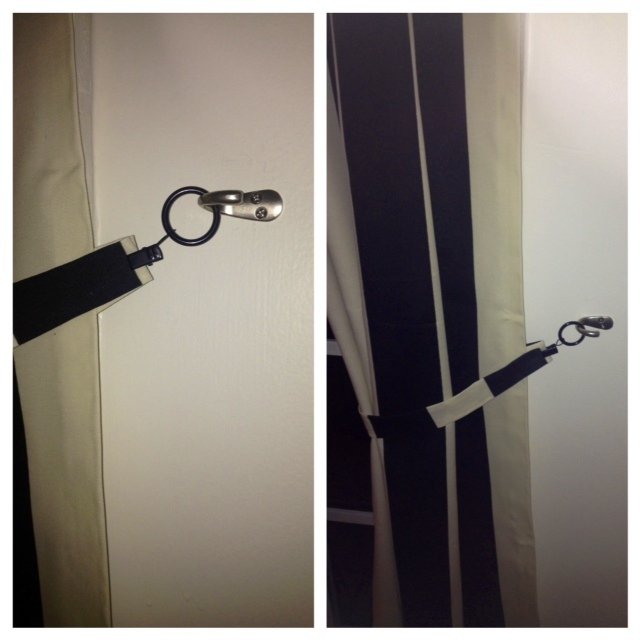 2 Drapery Clip Rings (optional) – Like these, available anywhere curtains are sold. Mine were left over from my bedroom curtain project. *You do not need to use these, the fabric will hook onto the wall hook all by itself without a clip. Step 1: I began by laying out my fabric and measuring the appropriate length then cutting it. 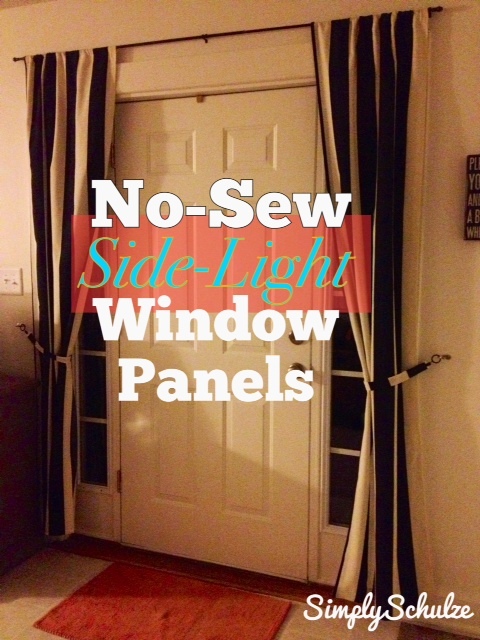 Next, since the sidelights are not anywhere close to as wide as a normal window, I cut my 54″ wide fabric in half. 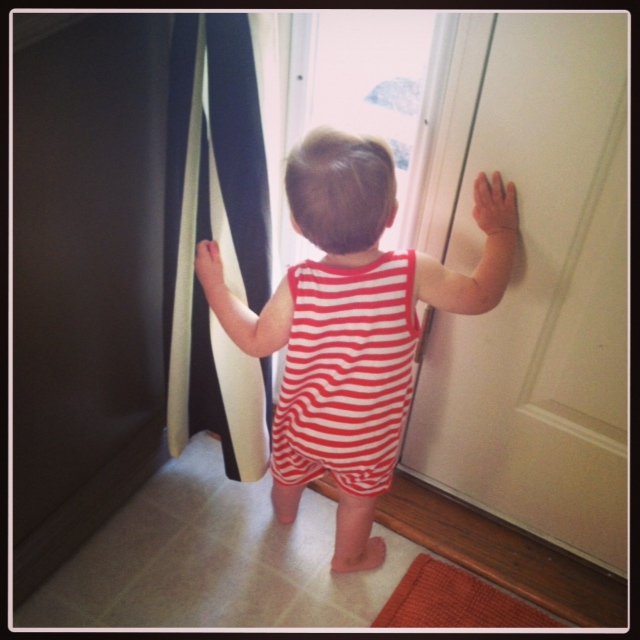 Step 2: I followed my steps in this post for creating no-sew curtain panels. 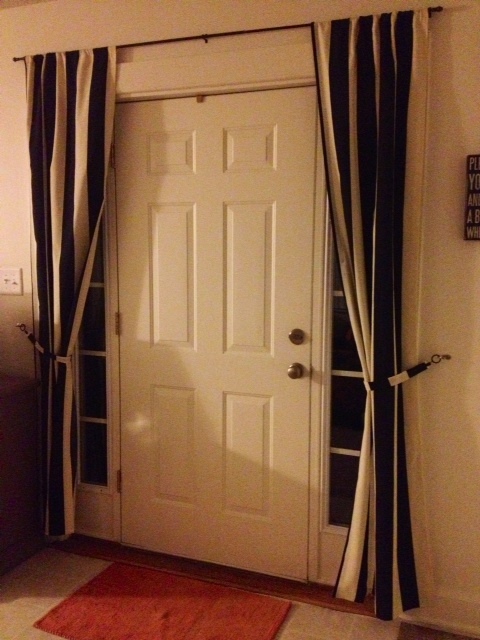 Step 3: Next, I made the tie backs for the curtains by cutting a piece of fabric about 12″ long and 4″ wide. Next I used another piece of iron-on hem to fold the piece in on itself and ironed to seal (when you are finished it will look like the picture below). I used a left over drapery clip from another project to hold my tie back together and later hook it to the wall, but if you would like you can use a dot of hot glue to seal the two ends of the tie back (to create a big fabric loop) that way it can just hook to the wall hook without any additional hardware. I love that I was able to use these little Walmart coat hooks in place of curtain tie-back hardware! 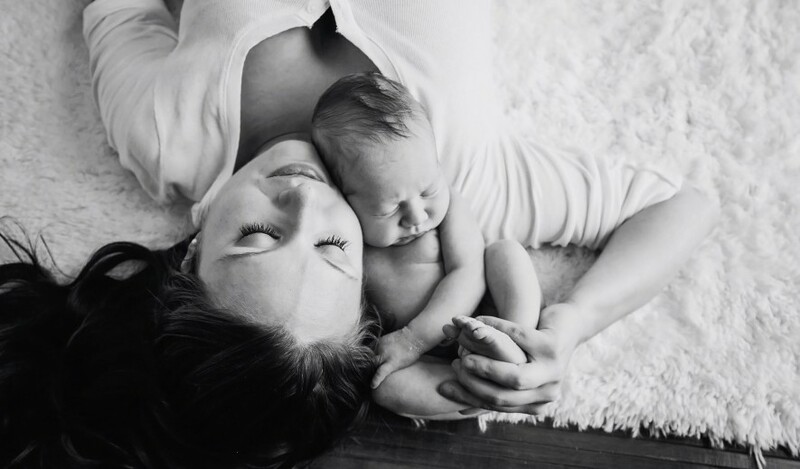 They are small, discrete and cost about a quarter of the price! Step 4: I hung my curtain rod and attached my hooks to the wall, then hung the drapes! Done and done! Check out the finished product below! Sorry for the horribly lit picture but you get the idea!